Fifteen years ago, Errol Morris&#146;s documentary The Thin Blue Line famously resulted in freeing an innocent man from prison. Last year, in what is arguably a comparable turn of events, Mark Moskowitz&#146;s documentary Stone Reader rescued a forgotten American writer from obscurity. Moskowitz&#146;s scruffy and warmly personal film recounts his obsessive search for Dow Mossman, the author of a long out-of-print 1972 novel, The Stones of Summer. For the last three decades, it turns out, Mossman has been living where he was born in Cedar Rapids, Iowa, and working the kinds of blue collar jobs&#151;welding, bundling newspapers&#151;that writers are supposed to have before they publish their big novel, not after. 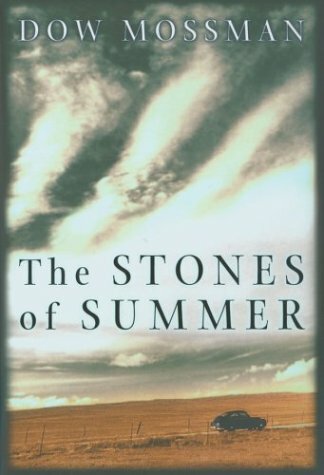 And make no mistake, at nearly six hundred pages The Stones of Summer is a big novel. Its ambition and scale are matched only by the monumental mystery of why no one seems to have ever heard of it. Hermetically sealed for thirty years, Mossman&#146;s weird lyricism ("the lawn was a wet bowl stirred and thickened, a lilac&#146;s throat") is startlingly fresh and pungent. If not a lost masterpiece, it&#146;s clearly the work of an enormously talented writer. The novel&#146;s three sections follow a classic coming-of-age trajectory from idealized youth, to troubled adolescence, to an adulthood blindsided by drugs and instability. Virtually without plot, the narrative is constructed of richly textured anecdotes and set pieces, many of which Mossman has said are autobiographical. The protagonist is named Dawes Williams, the state is Iowa, and the hometown is coyly rechristened Rapid Cedar. The early chapters are chockablock with vivid characters. Dawes&#146;s profane grade-school chum Ronnie Crown is expelled for assailing their teacher, Miss Wilma Spent, with crude sexual epithets. The eight-year-old Crown later confesses that he has no idea what the f-word means. "I still can&#146;t figure out," says Dawes, sounding not unlike a wry Peanuts character, "how they could expel you for a word if you didn&#146;t know what it meant." Mossman&#146;s novel is a flurry of words, a logorrheic avalanche. His intoxicating voice is ideal for conveying the enchantment and sensuality of a recollected childhood: "The thick, white moon ran like a round, naked rain through the dry spines of the trees." Languid Augusts are whiled away on a farm where Dawes&#146;s quick-to-rage uncle Arthur raises greyhounds. The finest writing in the novel is a rollicking ten-page depiction of an epic croquet match between Dawes and his uncle that turns deadly earnest. But as the pages pile up with precious little momentum or suspense propelling them forward, the law of diminishing returns settles in somewhere around the middle of the book. The scenes of teenage pranks feel protracted and repetitive. There&#146;s an interminably unpleasant chapter in which Dawes and his pals set about humiliating one of "the doggy girls of Waterloo" living in a nearby town. Mossman&#146;s galvanic prose struggles mightily but fails to elevate the predictability that overtakes the material: Dawes&#146;s growing rebelliousness, his lost weekends with a beer-guzzling carload of boastful buddies, and his fumbling toward romance with the aptly but improbably named Summer Letch ("her hair was thick and rich as heaven"). The spectacular automobile crash that closes section two doesn&#146;t touch as deeply as it might because the occupants of the car have been too thinly developed and differentiated as characters. The final third of the novel, chronicling Dawes&#146;s dissipation in Mexico, is both a tour-de-force and something of a slog. Instead of the timeless quality of the novel&#146;s opening section, the concluding pages reflect the nadir of 1970s literary pretentiousness. There are poems and epigrammatic excerpts from Dawes&#146;s notebooks ("family understanding, indeed all of the great middle-class virtues, are not what they are cracked up to be"), and long passages from a novel-in-progress, and letters from a buddy in Vietnam. Much marijuana and Mexican beer are consumed. Dawes intimates that he&#146;s suffering from schizophrenia, but it&#146;s presented less as an illness than the sort of oracular "divine madness" espoused by R. D. Laing during the era. According to Moskowitz&#146;s documentary, Mossman was briefly hospitalized for a nervous breakdown while completing The Stones of Summer. Ten years in the writing, the book may have in the end depleted the author&#146;s psychic reserves. Despite its flaws, it&#146;s an impressive debut novel. The significant achievement is Mossman&#146;s voice. And the good news is that he is writing once again.